Place Linkedin Connect to the top of the page. 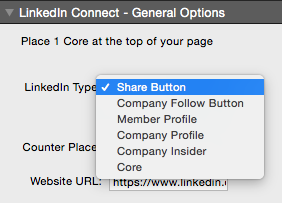 Then in options for “Linkedin Type” select Core. This will activate the stack and allow it to work. /Note :: For all the posts to be viewable the page must be uploaded. In the options select “Share Button”. Now get the URL of the Linkedin page that you want to link. Highlight it and copy it. Take the link that you just copied and paste it into the Website URL option in the Linkedin stack. In the options select “Follow Button”. Find the showcase page that you want to link. 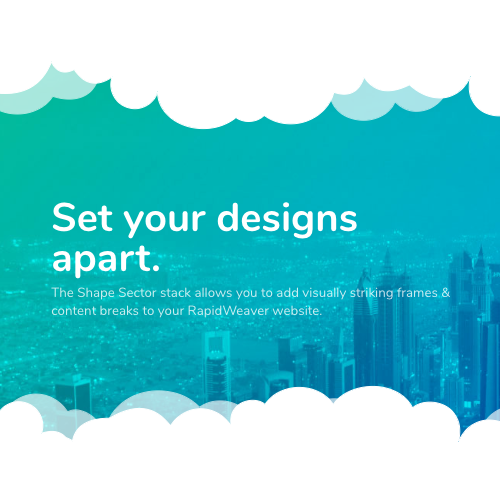 Showcase pages are an extension of your company pages. For this instance we are using RealMac’s showcase page. 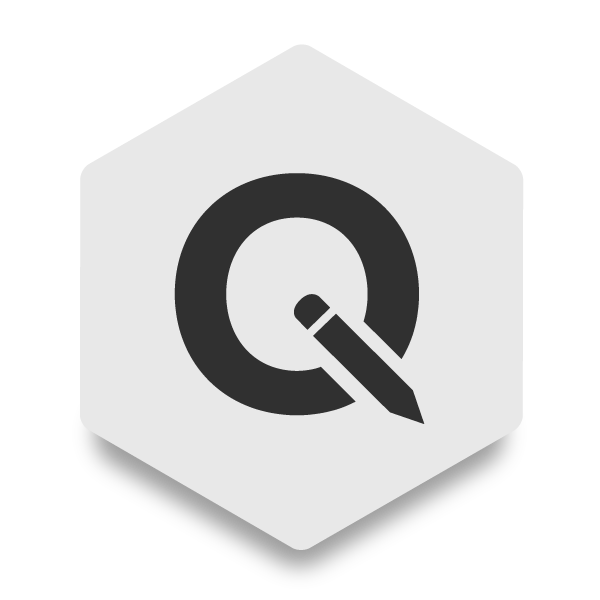 Highlight and copy the portion of the URL starting with “/company”. 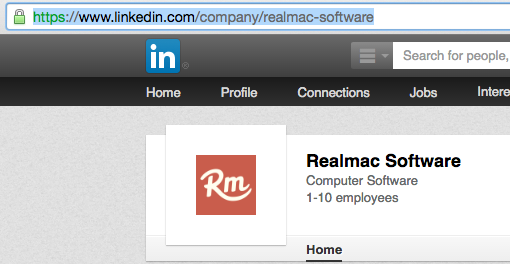 In this case we have “/company/realmac-software”, but for you it will contain either your company or another. Take what you highlighted and go to this link https://developer.linkedin.com/plugins/follow-company. On the page, paste in what you copied in the “Company/Showcase Page Name” section. Now that you have pasted that info click on the “Get code” button. After doing so find the data-id and copy it. 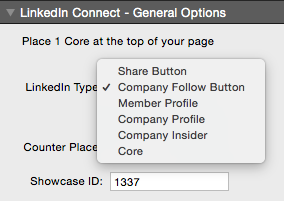 Take the data id that you copied and paste it into the showcase id option in the Linkedin Stack. In the options select “Member Profile”. 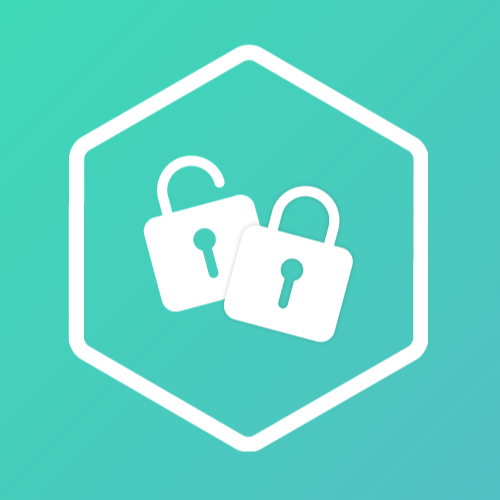 Get the link to the member profile that you want to share then copy the link. 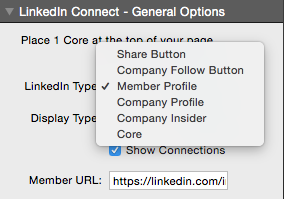 Take the copied link and place it in the Member Url section in the Linkedin stack. In the options select “Company Profile”. Now get the URL of the Company Linkedin page that you want to link. Highlight it and copy it. 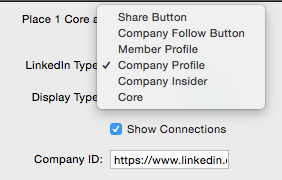 Take the link that you just copied and paste it into the Company Id option in the Linkedin stack. In the options select “Company Insider”.